Tiny apartment and plants don’t really mix but there are some plant species that thrive in a small apartment! But before you go around shopping for houseplants for your tiny home, you have to know if your living space is plant-friendly at all. Plants need light to survive and most plant species will not do well when kept indoors. That said, there are hardy houseplants that could survive low light environments. These plants could adapt to living in a dark apartment but that doesn’t mean you shouldn’t coddle them with light every now and then. Does the spider plant look familiar? 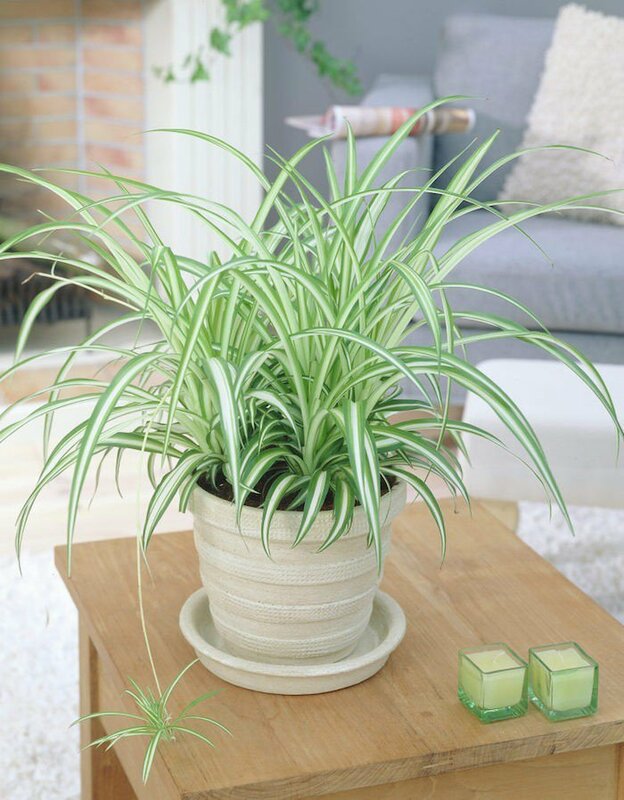 That’s because the spider plant (Chlorophytum Comosum) is one of the most popular houseplants for small apartments. This plant adapts so well to a wide range of conditions. The spider plant got its name from its spider-like leaves – called spiderettes – that dangle down to look like spiders on a web. This popular houseplant is not only tolerant of low light environments; it also loves cool temperature, about 55 to 65 Fahrenheit. Spider plant is perfect for homeowners that have zero experience taking care of a plant before. The same thing goes for those who have no green thumb. This plant only needs well-drained soil and bright and indirect light to live. Yet another quintessential houseplant that’s popular among city dwellers, snake plant (Sansevieria Trifasciata) is an evergreen that has wide, yellow-tinged leaves. This plant – which could grow up to 8 to 12 feet – makes the perfect houseplant. It can adapt to low light environments and even droughts. It can even withstand several insect problems. 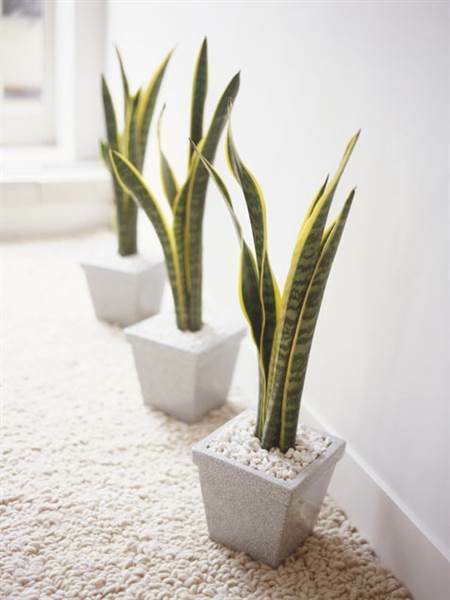 What’s more, snake plants do a great job of purifying the air in the home. The snake plant only needs free-draining soil and a nice, shady spot to live. Do not over-water this plant though. Snake plants’ fleshy roots are pretty sensitive and are prone to rotting if kept in soggy soil for too long! The ZZ plant (Zamioculcas zamiifolia) is distinct for its bulbous base and fleshy, oval-shaped, waxy green leaves. This plant is often mistaken as an artificial plant because of its unnaturally shiny coating. And you know, caring for this plant is a cinch. 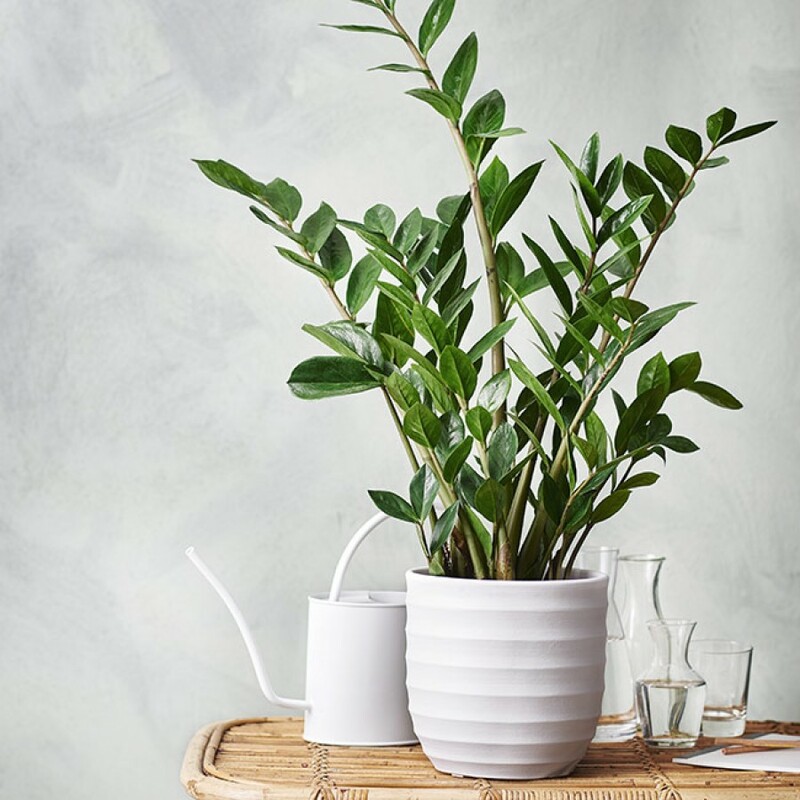 ZZ plant is virtually indestructible. It is similar to cacti in terms of toughness. 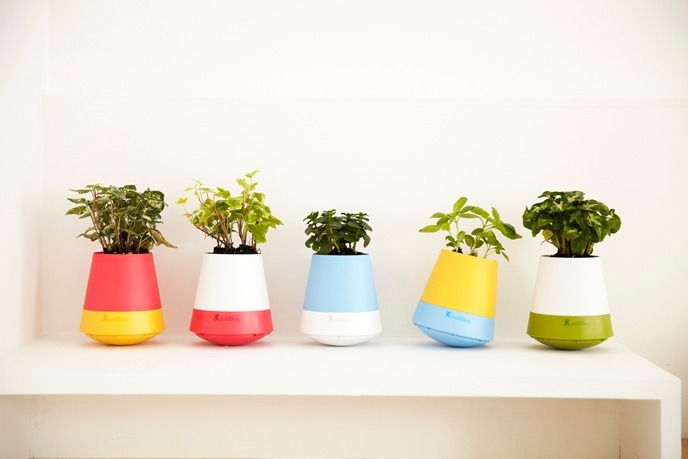 It can withstand low lights and it does not require regular watering or fertilizer to grow. The only real way you can kill a ZZ plant is to overwater it. Suffice it to say, the ZZ plant is the best houseplant for forgetful apartment dwellers. 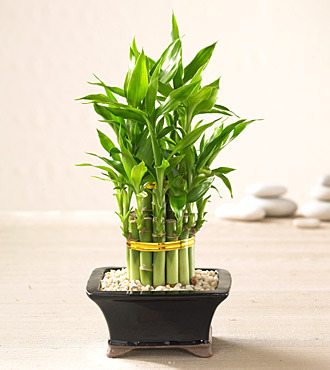 Lucky bamboo (Dracaena Sanderiana) is yet another low light plant that will adapt well to a variety of living conditions, including a tiny apartment. For one thing, this plant requires little light and is best kept in shady spots. It doesn’t require much maintenance although Lucky bamboos do need water. In fact, most people keep this hardy plant in water to grow its roots. And once the root of the Lucky Bamboo has grown, it requires about 1 to 3 inches of water. The more roots the Lucky Bamboo has, the lusher the top foliage will grow. As the plant grows, you have to increase the amount of water you put into it. If you’re not keen on keeping this plant in water, you can transplant it into the soil, just make sure the soil drains well when watered. The peace lily (Spathiphyllum Wallisii) is a popular indoor plant that’s easy to care for so it is suitable for a low-light tiny apartment. This plant has bright green leaves and white “flowers.” The blooms aren’t really flowers but are hooded leaf bracts. 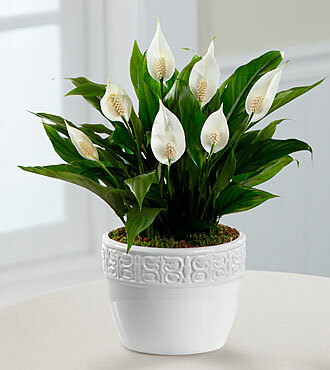 As with most houseplants on this list, the peace lily doesn’t require regular watering. One way to kill the plant is by overwatering it. In fact, it’s more tolerant of underwatering than overwatering. Mainenhair fern is a popular garden plant that thrives in shady spots. This beautiful plant with its lacy, feathery fronds could be kept indoor too. It has a unique look that’ll brighten any home, no matter the size or setting! Mainenhair fern hates direct sunlight so growing the plant is easy. However, it will require moist soil. 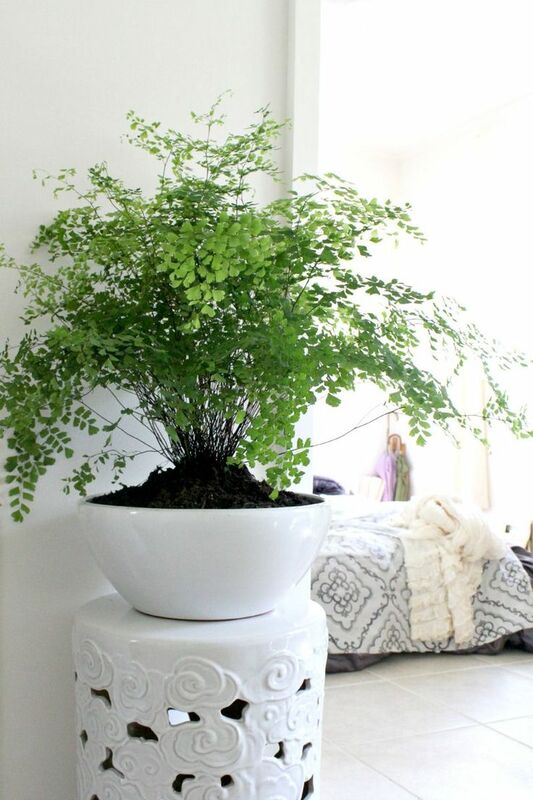 If there’s one plant that needs self-watering pot, it’s the Maidenhair fern. It needs humus-rich, well-drained soil and cannot tolerate dry soil at all. 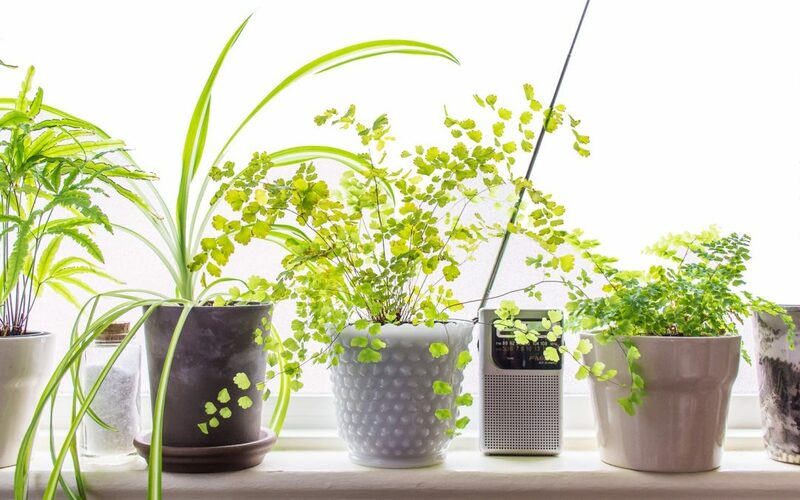 If you’re planning to spruce up your living space with the maidenhair fern, use small pots and mist the plant regularly with water. The plant is intolerant of low humidity or dry air. Moth Orchid (Phalaenopsis) used to be a pretty expensive houseplant until advances in production made it affordable for average gardeners. This beautiful flowering plant is intolerant of direct sunlight and requires only weekly watering. Moth orchids love humid and shady environments. You can place this plant in the bedroom, the bathroom or other low-light spots in your home and it will thrive. This houseplant requires regular potting soil but you can also make your own soil-less mixture using hardwood charcoal, peat moss, and fir bark. 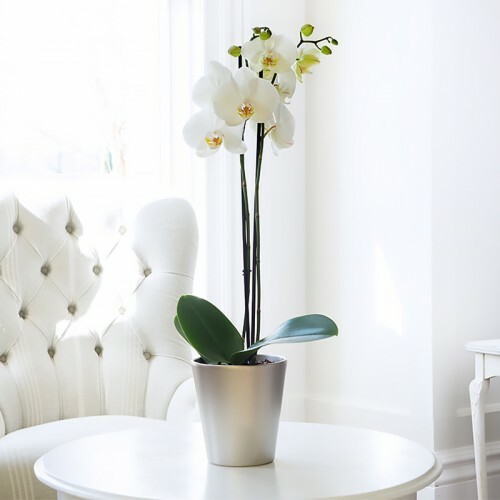 Although the moth orchid requires weekly watering, always keep an eye on the soil’s moistness. It shouldn’t be left completely dry. To avoid overwatering, try this trick: place three ice cubes in each pot per week. 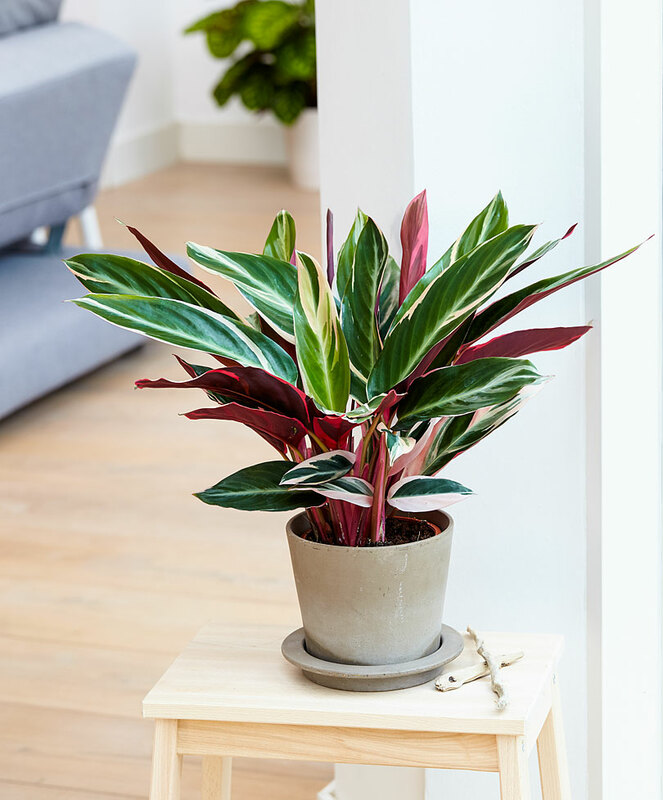 The prayer plant (Maranta leuconeura) is a houseplant that could survive low light environments as well as bright spots with indirect sunlight. It’s easy to take care of as long as you know its specific needs. This plant requires high humidity, moist and well-drained soil, as well as occasional fertilizer to thrive. You have to water the plant every two weeks using warm water. You could also mist the leaves if exposed to dry air. The prayer plant is known for its striking, deep green leaves and light violet patterns. Because it’s intolerant of direct heat, its stunning leaves could fade when placed in the wrong spot. We recommend placing the plant in any humidity north-facing windowsill in your tiny apartment, perhaps the bathroom or kitchen. Angel Vine (Muehlenbeckia complexa) is a vining plant that’s native to New Zealand. This is a frost-sensitive houseplant that thrives indoors and outdoors, provided that the climate is always cool. The Angel vine is one of the easiest plants to take care of. It could grow in tiny pots and metal frames. You can prune the plant for an eye-catching topiary effect or leave the vine to grow to showcase its vivid foliage. Angel vine loves the sun but it could live in shady spots too. This plant requires moderately fertile soil and monthly light fertilizer. Angel vine is a heavy drinker, it needs frequent watering and well-drained soil. Rounding up our list of the best houseplants for low light apartments is the asparagus fern (Asparagus densiflorus). This plant is often kept in a hanging basket and set outdoors but it can also live in low-light indoor environments. This houseplant loves the shade and its frilly, feathery foliage is extra sensitive to direct sunlight. 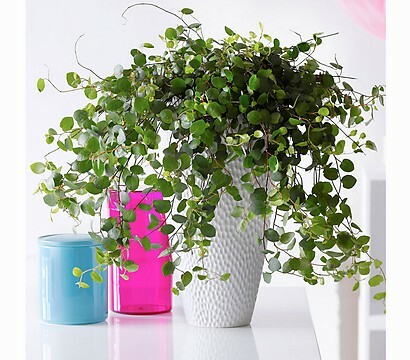 Ideally, you need to keep the plant in high humid environments to keep its cascading foliage feathery and green. 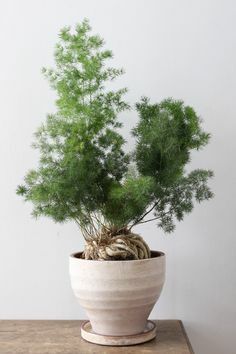 It’s not the lowest maintenance houseplants there is but as long as you know the fern’s specific needs, caring for asparagus fern isn’t as difficult. Just avoid placing the plant in dry areas or spots prone to winter heat. You have to mist the plant every day and keep it well-watered in any situations. You need to add a small amount of fertilizer to the soil when growing this plant outside the summer season. To keep its beautiful foliage at its fuzzy best, prune out dead stems as often as needed.